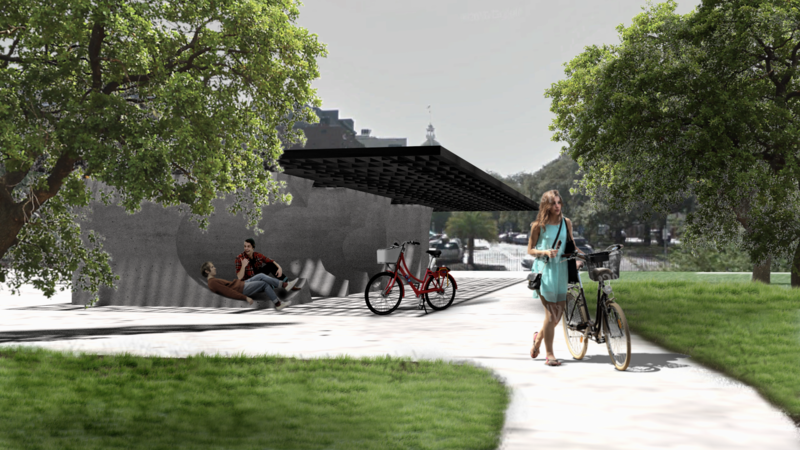 The Savannah Bike Lounge is premised on minimizing the footprint of the building while maximizing using people as a tool to create architecture. 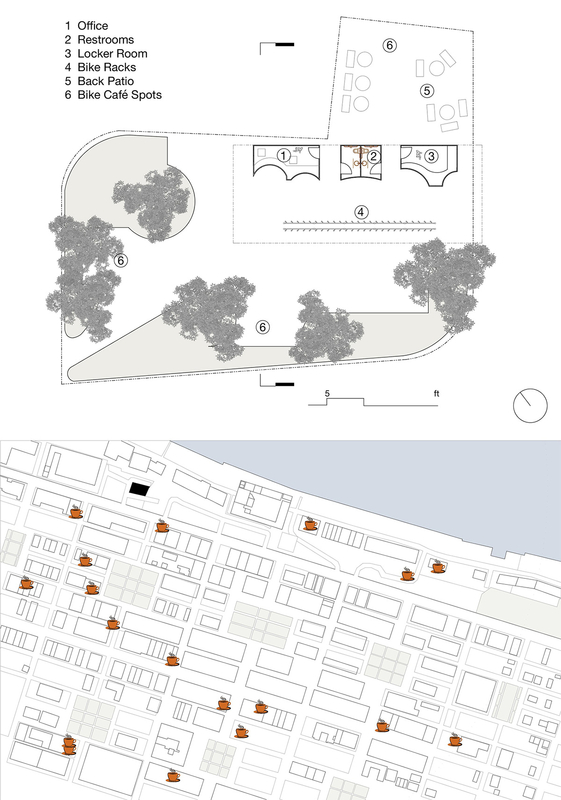 The program was compressed to the essentials and positioned in a strategic corner of the site, thereby offering a portal and meeting spot for pedestrian and cyclist circulation in the area. 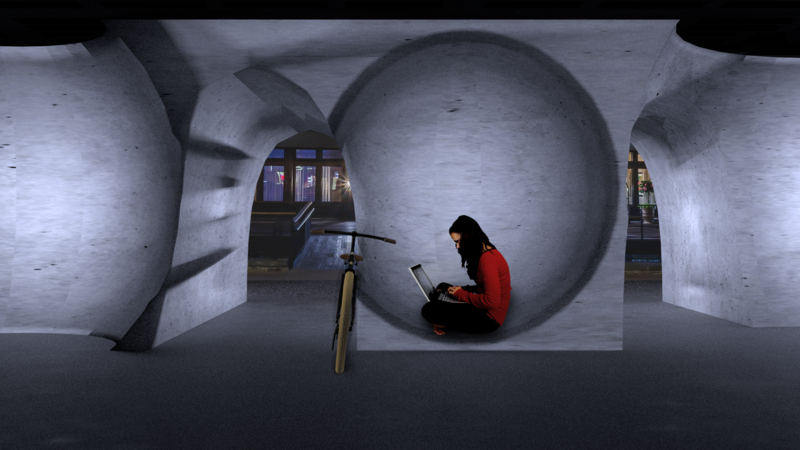 The design of the lounge serves as a public piece of furniture where people can rent and park their bikes or relish the outdoor garden spaces.